If you are following the Paleo autoimmune protocol (AIP) then you are already being very mindful and careful about the ingredients in the food you eat. But what about the ingredients in the products you use on your skin? Do you scrutinize those as well? In the interest of achieving the best health possible, you should be. Before I discuss specific brands that use clean, non-toxic ingredients that you can feel safe using while healing your body on the AIP, I want to tell you some of my backstory and how my relationship to personal care products and makeup has evolved over the course of the last 6+ years I have been Paleo. Did my makeup make me obese??! I have talked at length about how food played a critical role in what I call my "health awakening" that began in 2010. But what about other factors? Could the conventional soaps, makeups, and beauty products I was using before have played a role in my poor health and obesity? I think the answer is a resounding "YES", and the science backs that up. You've probably heard the term "Standard American Diet" before. It is full of processed foods, trans fats, and excessive levels of refined carbohydrates. Well, I think that skincare and makeup have their own Standard American Regimens, and I used to be fully immersed in them. I never paid any mind to the ingredients of any of the makeup or skincare products I used until my mid-20s. That is when I first learned about endocrine disruptors, which are chemicals (both man-made and naturally occurring) that interfere with the normal functioning of our endocrine systems (our hormones). They can act like our hormones, block our hormones from doing their job, and change the way hormones function in our bodies. Pretty significant and scary stuff. Endocrine disruptors have been shown in the scientific literature to cause developmental, neurological, reproductive, metabolic, and immune system problems. Parabens (preservatives) and phthalates (fragrances) are two of the most common classes of endocrine disrupting chemicals found in cosmetics & personal care products in the US, and parabens have even been linked to breast cancer. Once I started digging around in the scientific evidence, I was horrified. The cosmetics industry in the US is poorly regulated. 1938 was the last year a major federal law was passed to regulate the safety of ingredients used in personal care products. Talk about outdated! I learned that some of these endocrine disrupting chemicals are called "obesogens" - meaning, they promote obesity (!) And at the time I first learned this, I myself was obese and unable to lose weight. I've often wondered which played a larger role in my ability to lose weight: going Paleo or removing obesogenic endocrine disrupting chemicals from my personal care routine. I had attempted to lose weight the "normal" way for 9 months before going Paleo. I exercised 5 days a week and restricted calories. I even ate good fresh food from the farmer's market. I was limiting processed foods and cooking my meals from scratch. It was very close to Paleo, except I was enjoying freshly baked bread from the market, too. Was the bread really the reason why I couldn't lose weight? Or was it the fact that I was dousing myself with endocrine disrupting chemicals every single day? I have an all-or-nothing personality, so I went through the bathroom one Saturday afternoon in 2010 and started reading labels. I had 3 piles: stuff I knew was good, stuff I wasn't sure about, and stuff I knew was junk. I carefully researched the questionable pile, looking up ingredients in PubMed and on the Environmental Working Group's Skin Deep Database. I didn't have much left over in my bathroom; I had to throw away all of my makeup, nail polish, shampoo, conditioner, toothpaste, body wash, shaving cream, hand soap... Just about the only thing left was a bottle of Dr. Bronner's castile soap. I can sometimes overreact to things (just ask my husband), and when I purged my bathroom cabinets I went super crunchy and bare bones in reaction to my horror at what I had been using. I also went on a DIY kick, because I got this idea that it would save me money in the long run to spend hundreds of dollars on raw materials and hours of my time creating my own products. (Spoiler alert: I ended up wasting a lot of money on expensive oils and butters I was unable to use up before they went bad). I did the no 'poo thing with baking soda and apple cider vinegar, with occasional rinses with castille soap. It worked for me for about 2 years. I began only using castile soap for washing my face and body. I used a castile soap-based shaving gel. I bought pure hemp oil and rosehip oil to moisturize my face. 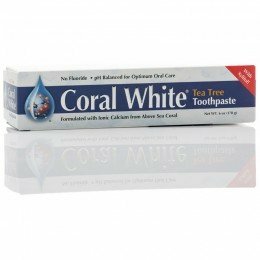 I started using a clay-based toothpaste. Some of the DIY things I tried included everything from mascara (utter disaster, OMG), to coconut milk conditioner, to toothpaste, to body butter, and everything in between. I have to say I can't recommend investing a lot of time or money on ingredients for DIY products. That's part of why I have never once shared a DIY body/beauty recipe on this blog. I've tried a TON of them and been so disappointed. The one thing I had success with was spray deodorant, and to this day still use my own creation. Back in 2010, I had no luck finding clean makeup brands. So, I just went without. I was never big on wearing foundation and powder, but I always used to love putting on eyeliner, eyeshadow, mascara and lipstick. My skin really cleared up once I cleaned up my diet and started consuming bone broth and collagen, so I didn't feel like I *needed* makeup, and I was OK to go without the stuff I used to do for fun. Trying to DIY all of your body and beauty products will likely leave you feeling broke and disappointed. That's me speaking from personal experience. I think we are incredibly lucky that there are many trustworthy, clean, non-toxic brands to choose from today. To me, it is worth every penny to not have to fool with a) purchasing a bunch of expensive raw materials b) finding time to experiment and perfect a recipe that performs as it should and c) having to make space to store all the raw ingredients. I really got fed up with that process about 2 years in, once I was living in Miami Beach. 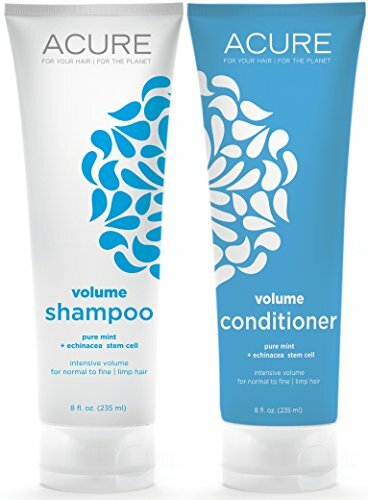 All the sun, sand, and ocean exposure FORCED me to start using real shampoo and conditioner. By 2014, four years into my journey, I really started to miss wearing makeup (and my DIY monstrosities weren't cutting it, either. I wanted makeup that WORKED). So I started investigating brands and I found some that I was OK with. (Brand discussions further down). I felt like a kid on Christmas morning when I finally bought clean, non-toxic makeup. I was shocked at how excited I got, and also at how much I enjoyed the ritual of putting on makeup now and then. I don't think I will ever be a "all day, every day" makeup gal, but that makes it even more fun when I do decide to wear it. One thing I have learned in the last few years as I have had some major health struggles is that self-care is so important. Your mind has a powerful effect on your body and overall well-being. What do you think of when you read "self-care"? Probably things like a hot bath, curling up in a comfy place with a good book, going for a walk in the park, or writing in a journal. But what about taking care with how you look? Wearing flattering clothes and styling your hair? See, here's what I think, because this is exactly what I did: I think that women who are facing chronic health issues like an autoimmune disease can let their condition negatively affect how they present themselves to the world. It is so easy to fall into victim mindset when you are fighting a chronic health problem. It's so easy to want to baby yourself with unflattering sweatpants and pulling your hair back instead of styling it. "I feel like crap so why bother getting dressed up or doing my makeup?" I think it's precisely because you feel like crap that you should take the effort to make yourself feel pretty by wearing something flattering and taking time with your hair and makeup. It's like forcing yourself to smile when you're in a sour mood - it sends signals to your brain to lower your stress and improve your mood. I have been truly AMAZED at how much difference 15 minutes in the morning spent on my appearance can change my mood, attitude, and confidence level for the whole day. I make a point to at the minimum style my hair and wear something flattering on the days I feel my worst, because it helps lift me up rather than letting me wallow in self-pity. I also have a super quick makeup routine that I'll describe below. See, women have been using makeup for thousands of years. There is something really primal about it, something deep inside us that drives us to augment our natural beauty. It's fun. And it can really change how you approach the world and even interact with other people! Makeup is extremely personal and some women hate it, some love it, and some feel they cannot live without it. Some prefer heavy coverage while others want it to look like they're wearing none at all. Wherever you are on the spectrum you deserve to be using products that WON'T contribute to poor health and disease. Now - what kinds of products are out there that are suitable if you're following the Paleo/autoimmune protocol lifestyle? Lucky you, there are some really awesome options that were not available when I started on this journey. But first, I want to dive a bit deeper and talk about people specifically with autoimmune conditions who are following the AIP. Which ingredients are safe if you're on the AIP? The short answer is: it depends on the individual. Just like with diet, some people may be sensitive to "good" ingredients that others are fine with. I may be able to eat sweet potatoes and feel great while you may not, even though they are AIP approved. I may be able to use products that are naturally derived from corn while you may not. Even gluten in personal care products can cause an issues for some people (look for "hydrolyzed wheat protein" for one source of hidden gluten). The following products are ones I have personally used and had good results with. The ingredients lists are CLEAN and these all rank really low on the EWG Skin Deep Database (if they are ranked). PLEASE make sure you read the ingredients label on any of the products I mention to ensure that there are no ingredients you need to avoid. The great thing is that all of the brands are 100% transparent about what goes into their products so you can evaluate for yourself and make the best decision for your health and body. I also invite you to peruse the other offerings from all of these brands - especially Beautycounter, Primal Life Organics, and 100% Pure. Acure Organics makes my current favorite shampoo and conditioner. I also love the simplicity of Dr. Bronner's products. They used to derive the citric acid in the castile soap from non-GMO corn but now extract if from tapioca; however the xanthan gum in the shave gel is derived from non-GMO corn. 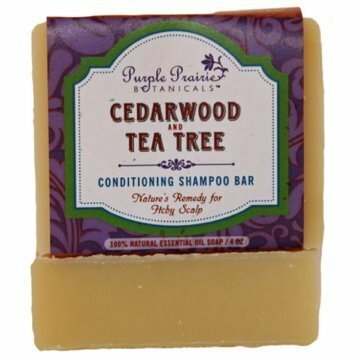 If you are extremely sensitive, you may benefit from testing out a simple shampoo bar like the one linked below. Check your local farmer's markets for a soap maker who may make a really nice shampoo bar made only with saponified oils. 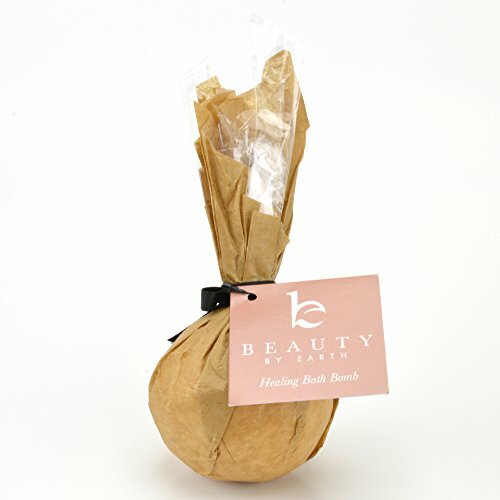 The Beauty By Earth bath bomb is a nice way to treat yourself! Also, I have found Dollar Shave Club to be a great option for my razors. I also tested Harry's and promptly returned it since it felt like I was dragging shards of glass across my legs and felt too flimsy and had no grip - I dropped it several times when I tested it out! DSC is better than the Gilette Venus I had previously used and is SO MUCH CHEAPER for the refills. I use The Executive which has 6 blades and makes my legs oh so smooth! Love love love it! Note: AVOID their shaving products as they all contain bad ingredients, despite claims of being "all natural". 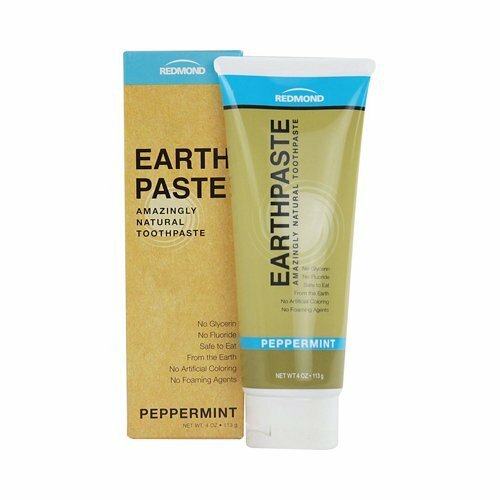 I alternate between EarthPaste, Primal Life Organics Dirty Mouth tooth powder, and Coral White toothpaste. I choose to avoid fluoride because I already have moderate to severe dental fluorosis (meaning: I have already been exposed to WAY too much fluoride in my lifetime!) The dentist always complements how great my mouth looks and doesn't believe me when I say I go at most once a year. No cavities since ditching fluoride, either. The Quip toothbrush is perfect for you if you hate having to remember to go to the drug store every 3 months to buy a new toothbrush. It is an electric toothbrush with a removable head. It vibrates for 30 seconds x 4 so you brush each quadrant of your mouth for 30 seconds, and a total of the dentist-recommended 2-minutes. Every quarter you get a small envelope in the mail with a replacement battery and a fresh toothbrush head. If you use my link to sign up you get an additional $5 off your subscription. Paying for the year in advance is the most economical (it's what I did). OK now time for the FUN stuff! Here are the brands I can recommend for clean, effective, non-toxic makeup. I encourage you to explore ALL the things these brands offer, not just the products I use and love. ENJOY!! They offer an impressive range of products and have so much more than just makeup and I encourage you to peruse their entire catalog. I have to say that when I was first exposed to Beautycounter I was skeptical. 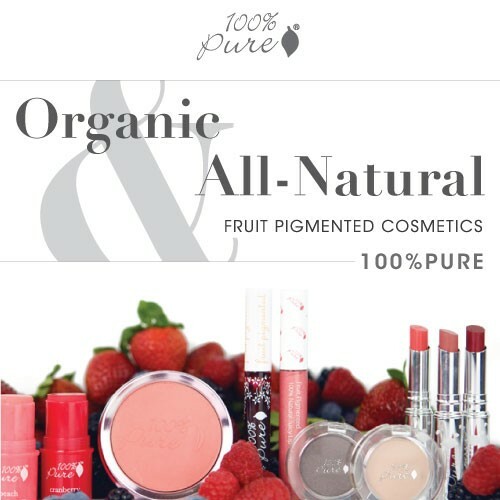 After falling in love with 100% Pure and their non-synthetic ingredients, I frowned when I saw synthetics in BC's products. But then I learned more about their process for choosing ingredients. And I researched many of them in the Skin Deep Database, and eventually felt comfortable about them. They are OBSESSED with product safety and have the strictest standards for ingredients in their formulas. Beautycounter is really making waves because they are actively lobbying for stronger regulatory laws for cosmetics in our country. First and foremost their focus is on safety. Safety data only exists for about 10% of the 10,000 chemicals in US personal care products. Beautycounter only includes ingredients that have safety data and which rank 3 or lower on the EWG's Skin Deep Database. After safety they focus on performance. Their goal is to give women an option that will perform as well as the conventional products they are used to but without the harmful ingredients. I think this is HUGE. I can't tell you how many women I have talked to (some in my own family) who don't want to give up their conventional makeup because they believe the non-toxic alternatives won't work as well. With Beautycounter, they DO perform just as well (maybe even better). They also have a line of anti-aging products that are clinically proven in trials to reduce fine lines and wrinkles. Um, yes please!! I am currently using all of the products in this collection and will compare before/after shots of myself after 8 weeks of use. I'm going all in with everything in the Rejuvenating collection (formerly called Countertime). You can buy individually but you get a big discount buying the bundle, which is what I did. If you need help finding corn-free (and also soy- and gluten-free) products from Beautycounter check out their FAQ page or contact me directly and I will help you. If you need to avoid ingredients derived from corn, Primal Life Organics is one of your best bets. Primal Life Organics has both makeup and skincare products. Their makeups are SUPER natural and can take some practice to get used to wearing as they are clay-based and come as dry powders. If you want liquid foundation, you can mix one up with a few drops of water and a drop of oil (I use Beautycounter soothing face oil for this purpose). 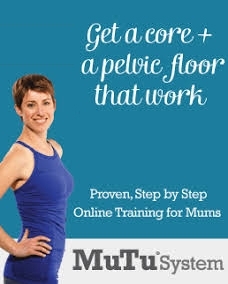 They have videos to help teach you how to work with their products. If you are VERY sensitive then I recommend starting with their products before using a brand like 100% Pure or Beautycounter. They also have a huge range of skincare products that are made only from natural oils, butters, and plant materials. They call it "skin food" for a reason! And if you are not sure what you want or need you can always order sample sizes of many of their products - check the drop down menu on the individual products for that option. Jane Iredale is not as clean as the other options I've given you, but I wanted to provide it as an option because it is excellent if you need REALLY high performance makeup. 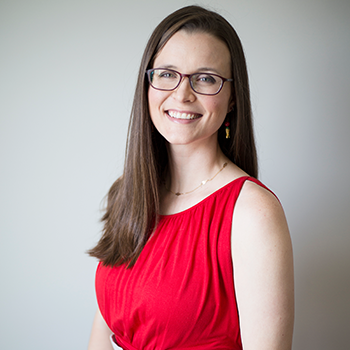 I'm wearing Jane Iredale in my headshot photos on this site. It was worth it to me to find a professional makeup artist who used their products. I remember in both photo shoots my skin felt GOOD both during and after wearing the makeup. I also own their lid primer in petal (which can act as a shimmery eyeshadow, too, or prime it for other shadow) and lip gloss. 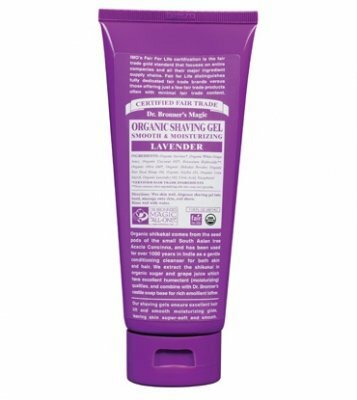 I checked their ingredients in the EWG skin deep database and felt comfortable choosing them, but again, I encourage you to do your own ingredient research! I mentioned earlier that I have learned that taking a few minutes in the morning to put on some simple make up is actually a profound act of self-care that can help me feel better when I wake up feeling poorly. Apply 100% Pure Luminous primer - it can actually act as a shimmery foundation on its own to help diffuse redness and even out skin tone. It makes your skin look clean and glowing. It feels wonderful going on and is very soothing and contains resveratrol for antioxidants to nourish your skin while you wear it. Apply simply shimmery eye shadow to my lids. Optional: add eyeliner. Apply Beautycounter or 100% Pure mascara. Wear a light shimmery lip gloss like Beautycounter's Opal or 100% Pure's Peacock Ore.
That's it! It's super simple, barely looks like I'm wearing anything but DOES enhance my features. Skipping foundation and powder and just using simple shimmery eyeshadow and lip gloss really cuts down on time. What are your favorite clean skincare and makeup products? I'm always interested in learning about new brands! Share in the comments.